Order your gate operator now! Record sales has us just managing to keep up with demand. 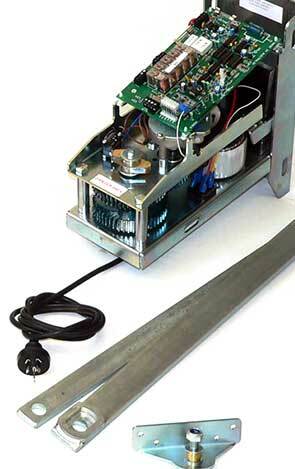 If you are considering purchasing a DIY Gate Automation Installation Kit from SUN-POWER Auto Gates, get in early. We recommend getting your order to us before 31st November if you want your Installation Kit before Christmas. We will still process orders after this date, but it will be first-in, first served and our factory is only just keeping up with the record sales demand. For your Australian-Made Swing Gate Operator/s in a DIY Installation Kit with BONUS OFFER, all that you need to complete the installation* and a comprehensive step-by-step installation instruction manual, buy online now (click here) or call our friendly Sales Team on 1300 69 4283 to place your order. *except for fixings (e.g. coach-screws, bolts, self-tappers – all gate posts are different and we can’t anticipate what type of fixings you will need). You may not use bolts to attach your gate operator at all – you may choose to weld instead, so we leave your fixing method up to you. Otherwise, all the brackets and wiring etc is included in your kit. Your solar panel comes with 5m of cable. If you need a longer length of cable, tell our sales team before placing your order. There is an additional fee for longer cable lengths (we find that the vast majority of our customers do not require the extra length). This entry was posted in Solar and Electric Gate Operators and tagged Australian Made, Auto Gate, Auto Gate Operator, Gate Operator, Remote Control, Solar Power, Solar Powered Auto Gate, Sun Power.